Book Direct – Watch out for those 3rd party booking sites. Wanted to reach out to our guests of Reynolds Mansion about a problem that is becoming more and more frequent these days, and causing some serious problems for guests trying to book directly online. That problem is 3rd party booking sites! Booking.com, Expedia, to name a few, and Trip Adviser who now thinks that being in the 3rd party booking business is more profitable than being a site for reviewing properties. These sites are “mirroring” Reynolds Mansion website, along with other business to try and get customer business thereby confusing guests who think they are on our actual website. When you book on these 3rd party sites you are paying a commission for doing so and paying a room rate sometimes as high as 20% more than if you had booked directly through Reynolds Mansion’s website or calling us directly to book. It’s all is very confusing, and you will think that you are on Reynolds Mansion website, but trust me, you won’t be. When you see room prices that seem out of the norm, please check to make sure you are booking directly through Reynolds Mansion website, if you are unsure, please call Reynolds Mansion directly at (828) 258-1111. Reynolds Mansion website is www.thereynoldsmansion.com – Please help stop these companies from taking the direct bookings from independent business of all types. BOOK DIRECT! https://thereynoldsmansion.com/wp-content/uploads/2016/01/logo.png 0 0 Reynolds https://thereynoldsmansion.com/wp-content/uploads/2016/01/logo.png Reynolds2019-03-22 10:35:272019-03-22 10:35:27Book Direct – Watch out for those 3rd party booking sites. Department 56 has just released The Reynolds Mansion into their Historic Village Collection. Only available for a limited time, you can purchase them directly from Reynolds Mansion or from a Department 56 retailer. We will have 25 available for sale here at Reynolds Mansion at a cost of $175.00 plus sales tax. They will not be available until April 1, 2018 but you can let us know to reserve one for shipping once they arrive. After all of ours have sold, you will only be able to purchase them from a Department 56 retailer until they are retired. It is with very heavy heart that I have to let you know that our beloved English Bulldog “Rhett” has passed away on May 1 2017. He greeted hundreds of you since our opening of Reynolds Mansion and he is a great loss. He woke up with me every morning during my tenure here as innkeeper and if I would have allowed him taken every step I took during the day. My heart is broken and I will miss him so very much. He was a good friend. After several inquiries, cancellations, and national and worldwide coverage I felt it was now time for Reynolds Mansion to comment on the North Carolina House Bill 2 (HB2). As innkeepers Mike and I tend to keep our personal views on religion and politics away from the breakfast table, we respect the diversity and views of all of our guests. Discriminating against the working poor by restricting a community’s ability to demand that contractors raise minimum wages to living wages and pay for vacation and sick leave. In the weeks since the passing of HB2 the response against HB2, in North Carolina and around the world, there is evidence that this bill affects the lives of more than a few people using the bathroom; it touches on the ongoing struggle for equality. As independent business owners and also having the responsibility of bearing the costs of maintaining this historic home, when North Carolina passed this law it reached into the very pockets of not only us, but all the business owners in Asheville a community that thrives mainly off tourism dollars. In the case for Reynolds Mansion it also affects us on a personal level as well. Mike and I invite into our home and to our table a diverse, eclectic, and wonderful group of individuals, many of who return again and again to visit this special part of North Carolina and consider “our home their home. They become in a sense part of our family. 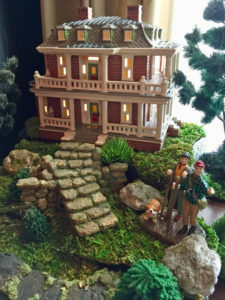 As the caretaker of Reynolds Mansion I am saddened and embarrassed that I should be compelled to post this sort of blog on the website, but there are many who do not know of us or they are not familiar with Reynolds Mansion. Built during a time where the very builders of this magnificent home weren’t even allowed to enter its doors, those days are no more, ALL is welcome here. The very essence of the HB2 law reminds us of the ignorance and misconceptions that many people still possess, it also enlightens us how far we still have to reach for equality for all. New Trailer for “PRISM” shot at Reynolds Mansion gets released. Last month aspiring film Director/Producer Aidan Weaver shot his new Independent Short Film “Prism” here at Reynolds Mansion. The new film trailer has just been released, Thought all of you might like to take a look before the films release date. See if you can spot where each scene was filmed in the house. If you have time please let Aidan know your thoughts or share the link with your friends. Will let all of you know once we have a definite release date for the film. Of all the filming projects done here at Reynolds Mansion Aidan Weaver and his team were some of the best to work with – Please give a shout out to ALL of them for their great work and professionalism. https://thereynoldsmansion.com/wp-content/uploads/2016/01/logo.png 0 0 Reynolds https://thereynoldsmansion.com/wp-content/uploads/2016/01/logo.png Reynolds2015-07-07 15:46:532015-07-07 15:48:03New Trailer for "PRISM" shot at Reynolds Mansion gets released. On August 27, 1960 Senator Robert R. Reynolds known to Asheville as “Buncombe Bob” held a lavish “coming out” party for his daughter Mamie Spears Reynolds as she approached her eighteenth birthday. Meyer Davis, the famed society orchestra leader, was flown in from New York and wrote a song for the occasion, appropriately called “Mamie”. Mamie wore a white silk gown created for her by Christian Dior of Paris. Mamie Reynolds had a governess by the name of Mimi Palmer and just recently the nephew of Mimi Palmer Mr. John Nicholson Jr. visited with us here at Reynolds Mansion. Mr. Nicholson generously donated a signed copy of the original Meyer Davis sheet music written for young Mamie. TripAdvisor, the world’s largest travel reviews site, recently honored the winners of its 2012 Travelers’ Choice awards, naming The Reynolds Mansion Bed and Breakfast Inn in Asheville, NC among the Top 25 B&Bs and Inns in America and in the world! The Reynolds Mansion took the #2 spot in US rankings and #12 in the whole world. TripAdvisor Travelers’ Choice winners are based on millions of customer reviews and opinions from travelers around the globe. 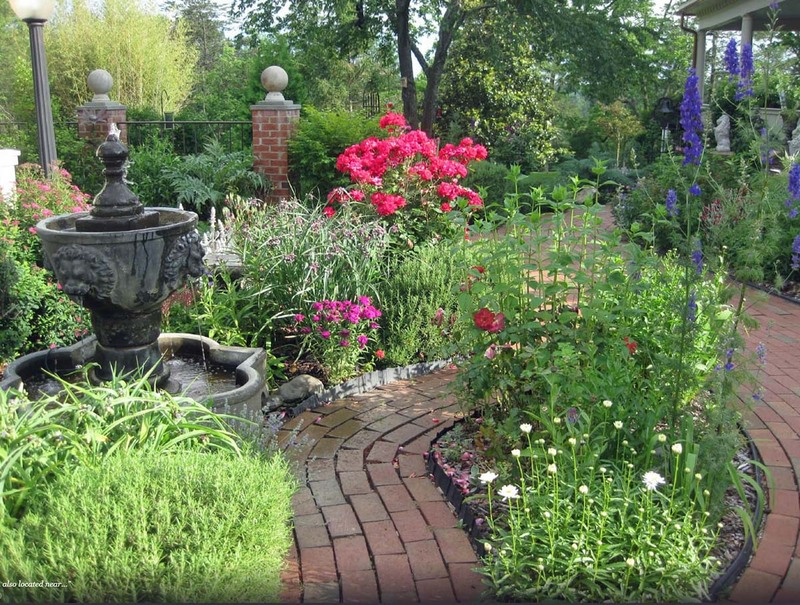 The Reynolds Mansion has been reviewed by 203 visitors to the historic inn, making it the #1 ranked Asheville bed and breakfast out of 42 B&Bs in Asheville, North Carolina. Innkeeper Billy Sanders is proud of the historic ambiance visitors can experience when staying at the mansion. “It touches you. It has an aura about it. Anybody who stays in it, they leave thinking about this place,” he said. As co-owner, Sanders wears many hats, including innkeeper and chef duties. He believes the great rankings reflect a commitment to making sure visitors have a great stay. “You do this because you want people to have a good time,” he said. To see the full story, view the news video: http://www.wlos.com/shared/newsroom/top_stories/videos/wlos_vid_6602.shtml. 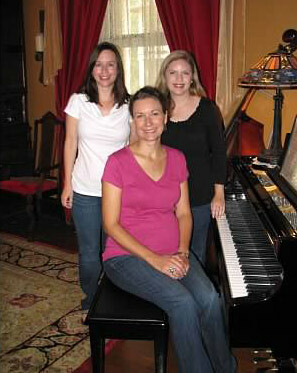 To stay with us at The Reynolds Mansion B&B Inn when you visit Asheville, NC, make your reservation online now.